The most complete catalog consisting of 100 best-loved cat breeds, including all the world's most popular varieties. 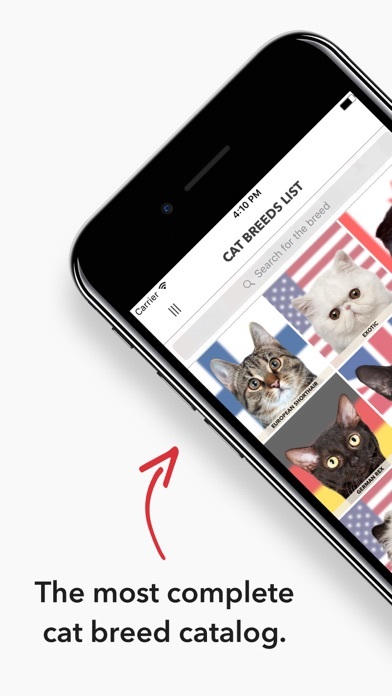 In Kittylog you won't find any useless information about cat species. 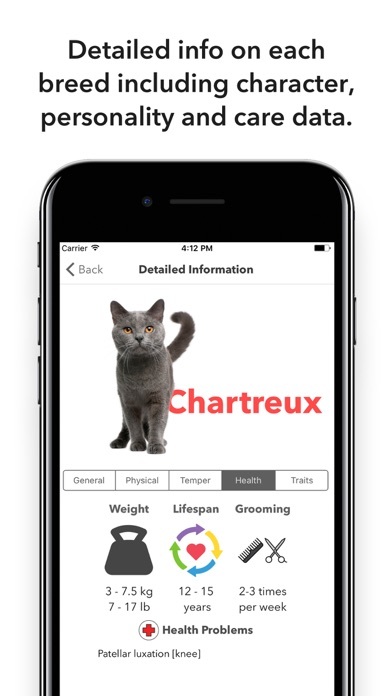 All the MOST IMPORTANT DATA is carefully gathered and structured, so that you can easily find everything you need to know about: - cat's origin; - physical parameters; - temperament; - health problems; - need for grooming; - personality features; - famous owners and much more. 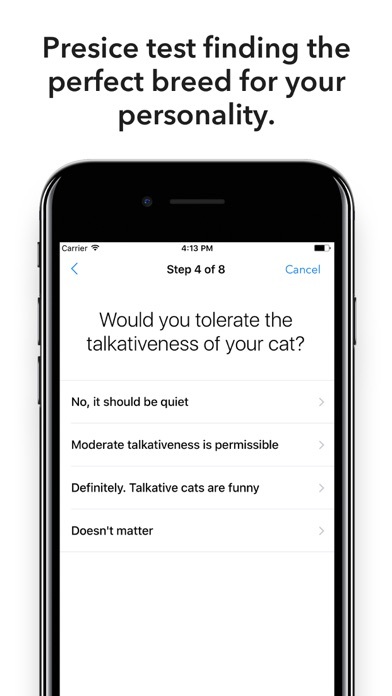 Kittylog also contains: * CAT BREED RATINGS - find out what cats are the most healthy, the calmest or quietest, the most friendly with other pets and small children, and so on. * COMPREHENSIVE TEST - find the breed, which will suit your personality best and become your best friend on the earth! 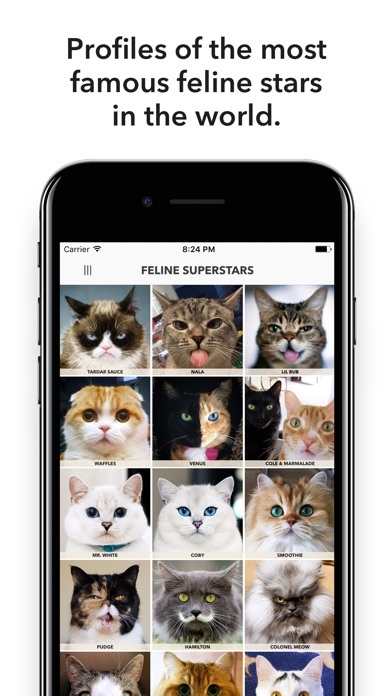 * CAT SUPERSTARS - uncover 63 the most famous cats in the world, like Grumpy cat, Nala, Lil Bub, Waffles, Venus and many more. 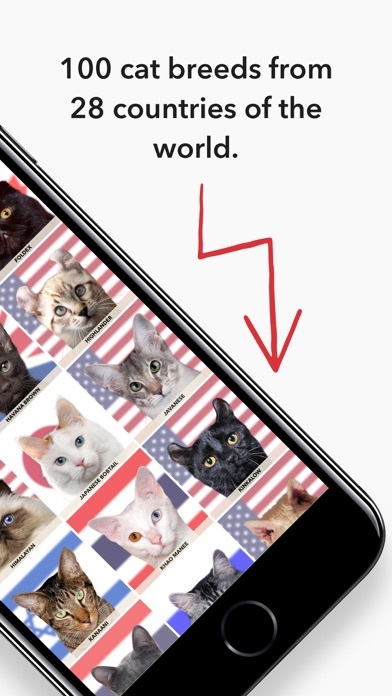 See their photos, check cats' story and visit their Instagram, Facebook, Twitter, Youtube and official website directly from the app. Everything you ever wanted to know about cats is now in Kittylog!